Work for NetSuite Financial Management? Learning about NetSuite Financial Management? "Easiest tool that i have ever used on invoicing with great user interface." Great user interface which makes it easy to invoice the customers in the company. It enables the company to add or remove the tax automatically thus ensuring efficieny when collecting the tax for the company. Easy to track all the invoices the company have ever recieved or sent to the customers and the suppliers thus ensuring to track the income and the balance sheet of the company. Very straightforward functionalities made us to prefer the program which i had used in the previous company that i was working for before going for green pasture. Its difficult to find a good consultant who can set up the connection correctly but when setup it run smoothly without difficulty. I would recommend company that deals with suppliers and customers at the same time to implement the programs since it helps in tracking all the company invoices in a easier way since it have a good user interface. Very reliable with data access since the data is stored in the cloud thus the user can access data whenever he/she needs thus promoting effiency in service delivery within the company. Great invoices comes from the system which the users are happy with and the ability to track them helps in financial management of the company and makes the accountants work easy and efficient. Very secure since it have permissions on which data the user can access depending on the role in the company. Data is in the cloud thus the user can access whenever in need thus very convinient. "Clear Data On Time and In Real Time Allowed For Better Business Decisions"
I love the dashboards and the fact that I could customize reports according to the data that I need to analyze. The set-up can be tedious and requires a solid solutions integrator who would understand and be able to make the set-up future-proof as well. If you require data to be clear and real time, NetSuite is a good solution. However when doing migration, make sure that your data is accurate and properly organized before moving into the new system. If you import garbage into Netsuite, you will also end up with garbage data. Clean up before moving over. Our data was unclear. I was always questioning if the numbers were accurate. Our finance was often correcting figures in our old system. I did not like that the numbers did not seem to be transparent. With Netsuite, I can now trust the data to be accurate and I can make decisions better because the numbers I am working with are real and clear. "Easy to use with great functionality and awesome technical support." Anytime we come across an issue, their technical support is 24/7 and they are very helpful. Especially comes in handy at the end of the month when we are closing our books and come across something that needs to be fixed right away. Their Fixed Asset Management isn’t very straight forward. There are certain rules such as you have to link an asset to a bill otherwise the GL wont pick it up. They need to walk you through the FAM step by step in order for you to understand. We are currently streamlining our PO and Vendor Bill approval process. The developers are making it more efficient for the managers to approve the invoices right through their email that NetSuite automatically sends when a Bill is entered into the system. "Excellent and intuitive financial package"
Highly functional with all the bells and whistles you expect and need from a financial package to run your business. Well supported with a vast community. Delivered from the cloud in an intuitive and easy to navigate interface. Haven't found anything yet that I dislike. Great product, take the time to work with the consultants that implement the system. Engage other departments and walk through all the business processes and workflow that needs to happen between departments on the finance side. Spend time planning out and testing any integrations before you make them and you will and up with a great result. We moved from a cash basis on Quickbooks to an accrual basis on NetSuite. This software is great because it is cloud-based and expedites financial transactions by keeping everything collaborated, plus it has a two-day course that breaks down operations so you can easily find your comfort zone. It has a significant variety of industries it supports, however it the software does not support public and higher education or construction industries yet, which is a major downfall. Double check that your industry is covered by the application and integrations offered with this software prior to purchasing it. NetSuite has helped me with its CRM and Issue Tracking for Customer Support application by easily keeping a running tab of positive and negative customer issue outcomes and juxtaposing them to each other for long-term evaluations and comparisons, which has assisted my business in restructuring SOPs for certain departments. "Simple to use once learned"
I like that NetSuite is customizable. You can add or take away any setting you don’t need. The searches are great for pulling financial information, but I wish there were easier trainings to learn how to do so. The benefits of NetSuite are that you get something totally customizable to your company and business. NetSuite makes it easy to request, approve, and receive on purchase orders from multiple users. It allows users to upload quotes, which then can be cross referenced when items are received to verify price and quantities are the same for budget purposes. The same system is in place for expense reports, which makes it easy for users to track their reimbursements. The inability to search through purchase orders for item fields to see what the last price was or who an item was purchased from. The search capabilities are limited in their function. We are able to track purchase orders and verify them for accounting purposes. These functions work wonderfully for a multi location business. I am a NetSuite Implementer, Power user and Accountant, moving clients to NetSuite from QuickBooks , Sage and a few others. Much more power, customized financials, much more robust system that can be set up for the way you work. Ability for clients to access all of there apps in the cloud. All applications can connect to one another. 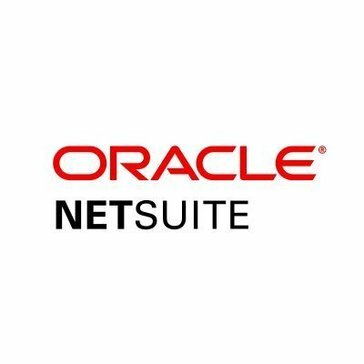 "Powerful ERP with a ton of capabilities"
Netsuite has a ton of offerings as an ERP to help you manage your business, and is extremely customizable. Sometimes Netsuite's automated processes can make visibility a little more complicated than I would like. For example, advanced revenue recognition results in a loss of easy visibility of the sales hitting revenue. "Robust features with a complicated interface"
Essentially everything is customizable. We had a lot of custom sections that integrated nicely into the platform. Clunky interface requires a steep learning curve. NetSuite allowed us to integrate everything into the central hub. It was convenient to blend everything into one ERP. Experiencing crashes during billing. Probably caused by my intenet connection. You will find it intuitive and helpful for al of your accounting needs. "Way more expensive than I thought. " I love the simpleness of its interface and it's very user-friendly. There is nothing that I dislike at the moment. I am able to create a budget forecast and compare them to actuals. I think the system is pretty simple once you are in it but it helps to have someone guide you through the process first. What’s hard sometimes is transitioning back and forth from the employee site to the payment approval site all within my own login. I haven’t solved problems but have been more of a general user for payment approval. I like how Netsuite has many customization tools. All accounting related functions are smooth. The help page and support is a challenge. All questions take hours to resolve. We have implemented this software which has helped us minimalize paper and allow orders to be streamlined. Nothing, don't change a thing. It's so easy to use. Don't hesitate on this product! Accounting, finances, statements, tracking, audit, etc. "Good tool for project budgeting and forecasting"
I like it's feature where it shows how much hours are left in a project. * We monitor all NetSuite Financial Management reviews to prevent fraudulent reviews and keep review quality high. We do not post reviews by company employees or direct competitors. Validated reviews require the user to submit a screenshot of the product containing their user ID, in order to verify a user is an actual user of the product. Hi there! Are you looking to implement a solution like NetSuite Financial Management?